by Ryan July 16, 2016 August 8, 2017 . We just spent ten days in heaven. 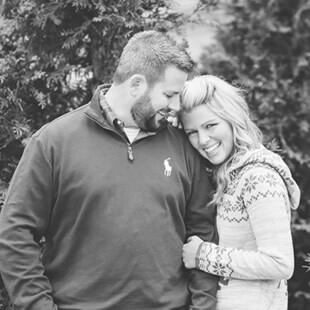 After an extremely busy last few months with work, school and wedding videos, we needed a break. We were so close to booking an Alaskan cruise vacation, but ultimately decided to book five days in San Diego, California followed by five more in Breckenridge, Colorado. We loved the idea of visiting the beach and the mountains, and we certainly were not disappointed with how it all turned out. For now here’s a rundown of how we spent the first part of our vacation in California. 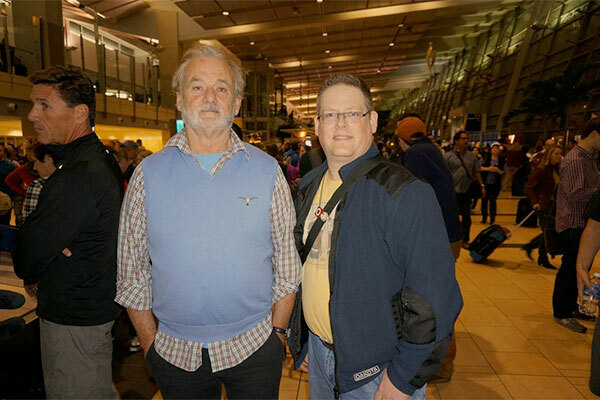 This random guy had the same type of run-in with Bill Murray back in 2013 at the San Diego airport and was lucky enough to get a photo with him. Before I could snap a picture of him, he started wandering around and talked on his phone for a few minutes before returning close to the conveyor belt just a few feet from us. Not afraid in the least bit to get rejected, I turned to him and asked, “Mr. Murray, may I snap a quick photo with you?” Instead of agreeing to a photo, he started walking towards me and I took a couple steps back towards Brittany and struck up conversation with us about some guy who he said was stalking him. We then told him we would gladly act like he was our Dad and carry on a casual conversation, and for the next ten minutes or so, that’s exactly what we did! Brittany asked for a photo again a few minutes later, but he told us it wasn’t a good time (because he was being “followed”) so we respected his wish and kept our phones away. Needless to say, while I was somewhat disappointed I didn’t get a photo with this living legend, it sure was neat to talk with Bill! We left the airport, picked up our rental car and got checked in at the Hilton La Jolla Torrey Pines. 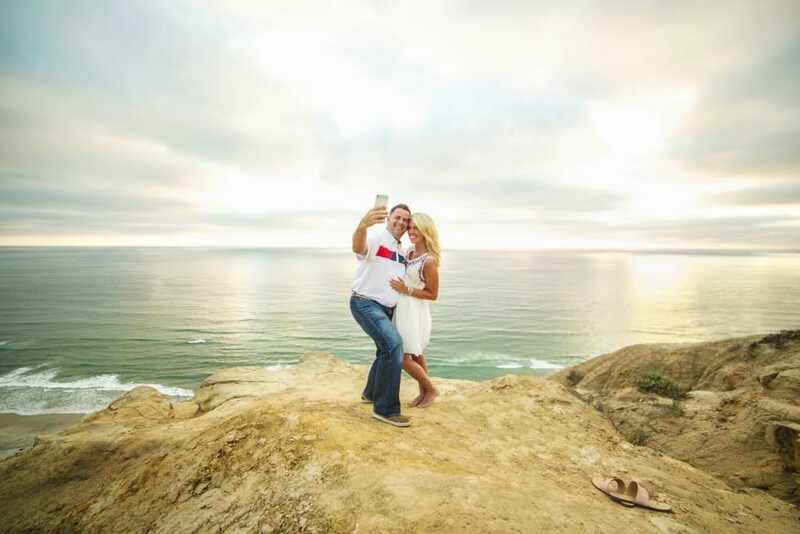 After our last visit to San Diego a couple years back, we knew we wanted to be close to La Jolla (our favorite part of San Diego by far) and we found exactly what we were looking for at the Hilton. Our room was located on the end of one wing and included a expansive balcony overlooking the 18th fairway at Torrey Pines Golf Course, one of the most challenging and beautiful courses in the world (and the home of the 2021 U.S. Open). We woke up early on Thursday morning and wanted to check out the area around our hotel, so we decided to go on a what we thought was going to be a little hike just down the street at Torrey Pines State Preserve. Soon after trekking down the first trail we could find, we were speechless when we saw the cliffs sharply dropping off in the distance and the ocean miles below. As our hike continued, we eventually reached a point where we took a steep descent down to the ocean. We took in the scenery for a few minutes, then headed back up the trail for the return trip back to the hotel for a grand total of about five miles before breakfast. Not too shabby! We enjoyed a delicious buffet then headed to a nearby Target so we could pick up allergy/cold medicine (we were both coughing and sneezing a ton). On the way back from Target, we made a pit stop at Brittany’s favorite cupcake shop, Sprinkle’s Cupcakes. In her words, “Day made.” Once we got back to the hotel, we went to the pool for a bit before some fun afternoon activities: Brittany had a spa appointment next door at the Lodge at Torrey Pines while I had a tee time at 3:30 to play the South Course at Torrey Pines. Brittany loved her spa treatment and even though I didn’t score well, I am still in awe that I had the opportunity to play golf on such an amazing course. I also really enjoyed getting to know the three others I was paired with; I shared a cart with a business owner from Colorado, and the other two in our foursome were kids (literally) who impressed us with their skills. One kid was from the area and plays golf on his high school team, and the other was a junior golfer from Australia named Isaac Noh who was participating in the IMG Academy World Junior Golf Championships. Needless to say, but Issac beat us all like a drum! It was pretty late in the evening when we both returned to our hotel room, so we headed to a local dive called The Spot for some southern California comfort food. The next day, we stayed around the hotel and laid by the pool before eventually heading over to Ruth’s Chris Steakhouse for dinner. On Saturday, we ventured over to Coronado (some call it Coronado Island, however it’s not actually an island). Ever since visiting Coronado several years ago, I hoped for the chance to play Coronado Municipal Golf Course which sits along the beautiful San Diego harbor. Within minutes of checking in with the starter at the golf course, I was able to walk on and join up with three others. This time, Brittany came along and took photos of me playing while also enjoying the beautiful scenery around the course. It was so special to have her by my side for the first nine holes, but I knew she wanted some beach time so she took the car and headed over while I finished the back nine with a decent score of 80. I was pretty happy about that score on an unfamiliar course. We spent the rest of the afternoon on Coronado shopping, exploring, and having our own impromptu photo shoot (thanks to my fancy camera timer). The rest of our time in San Diego was spent relaxing and checking out local tourist attractions, including the Torrey Pines Gliderport, La Jolla Cove and the U.S.S. Midway. On our last night in La Jolla, we found a beautiful spot to sit and watch the sunset…it was one of the many highlights from our second visit to San Diego. I was also able to capture some fun time lapse footage while in La Jolla, so as I have time I will share those clips and will blog about the second part of our trip soon. Cheers!